Image via Palatine's Paint the Town Green. Peggy Kinnane's in Arlington Heights: Peggy Kinnane's will be having all sorts of festivities Friday through Tuesday with Sunday being family day with face painting, a leprechaun visit and a balloonist. Friday and Saturday feature Irish dancers with the addition of bagpipers on Saturday. Check website for more details on times, covers, etc. The Curraugh in Glenview: The Curraugh in Glenview will be having live entertainment Saturday, Sunday and Tuesday including Irish dancers Sunday and Tuesday. 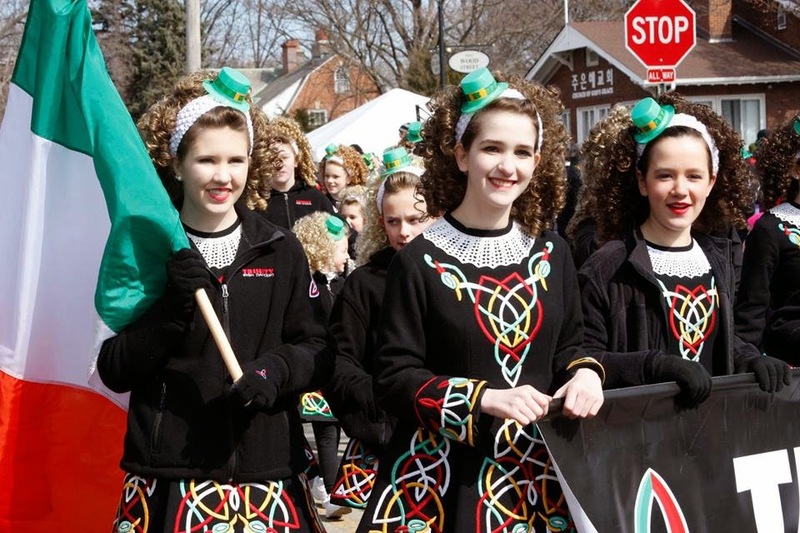 Durty Nellie's and Paint the Town Green in Palatine: Saturday, Palatine will be full of the St. Patrick's Day spirit with an Irish market, a parade, Irish food including breakfast at Durty Nellie's and much more! On Tuesday, Durty Nellie's will also feature Irish dancers, music and fare! McGongical's Pub in Barrington: McGonigal's will be holding Celtic Fest Friday through Tuesday with Family Day on Sunday. Family Day will feature Irish dancers and more. Weber Grill: If you are looking for something a little more relaxed for an Irish meal, Weber Grill will be featuring Guinness Beer Can Chicken for lunch and dinner, a house-smoked corned beef sandwich for lunch and house-smoked corned beef for dinner March 12-18.